Badass Mom-to-Be! Amy Schumer Went Body Surfing and Marched in Washington While Secretly Pregnant - Integration Through Media ....! Pregnancy certainly can’t slow down Amy Schumer. Before the actress and comedian, 37, revealed she was pregnant with her and husband Chris Fischer’s first child on Instagram on Monday (in a post shared by friend Jessica Yelling of News Not Noise), she’d happily been posting about plenty of recent activities and adventures, from body surfing to taking boxing lessons. She even got detained while protesting Brett Kavanaugh’s confirmation in Washington, D.C. earlier this month. Schumer, who seemingly prefers to stay active like fellow mom-to-be Meghan Markle (who is on a current tour of Australia with Prince Harry), even joked about the comparison in a statement to the L.A. Times. “I look forward to competing with Markle every step of the way,” Schumer said. Below, a look at everything the I Feel Pretty star has done while keeping her pregnancy news out of the spotlight. Earlier this month, Schumer was detained while protesting Brett Kavanaugh’s confirmation in Washington, D.C. In a video shared on Twitter, the actress could be heard telling a police officer she wanted to be arrested. “You want to be arrested?” A police officer asked her and another female, as he pointed toward a larger group that was chanting with police officers surrounding them. Schumer has also been building her strength with intense boxing exercises after dealing with a herniated disk and other back and hip problems. The I Feel Pretty actress shared an Instagram post in which she touched on her training. 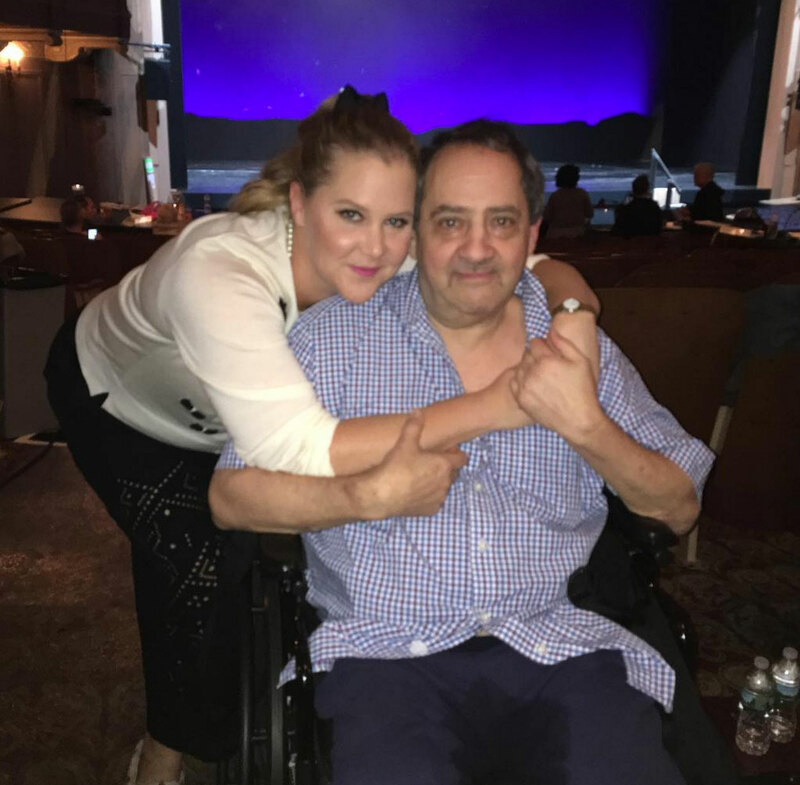 “Tim, Steve and I have laughed and cried together (Ok Steve didn’t cry) when I had major breakthroughs doing things I thought I would never be able to do again,” she said. Cut short because my bathing suit fell right on off! Schumer shared a video of herself body surfing while at the beach in early September. The actress wore a low-cut orange one-piece bathing suit. In the video, Schumer dives headfirst into the water as she catches a wave. “Cut short because my bathing suit fell right on off!” she wrote in the caption. Last week, Schumer and Fischer hilariously photobombed another couple’s engagement photos while on a walk in Central Park. The bride-to-be, Jillian Georgio, didn’t seem to mind as she excitedly shared the photo on her Instagram. “Sneak peak of the engagement shoot, special shout-out to @amyschumer and her husband Chris for making today so much fun! !” Georgio wrote in the post. The couples struck similar poses, with Hayes looking lovingly at Georgio, and Schumer and Fischer, both dressed in sweats, held each other while looking at the camera. Schumer and Fischer tied the knot themselves in a private ceremony in Malibu, California in February. The pair exchanged vows in front of around 80 people, including Jennifer Aniston, Jake Gyllenhaal, Jennifer Lawrence, Chelsea Handler, Larry David and David Spade.